We would like to share the most important and interesting facts of Phuket scuba diving in this guide with you. > Starting with a description of the seasons in Phuket, so that you would be able to decide which season is best for you. 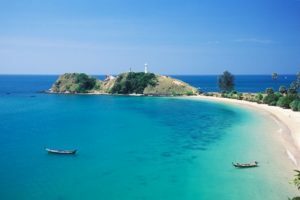 > Continuing with a detailed description of the different beaches in Phuket, the islands and finally the different Phuket scuba diving spots. > Having known when and where to dive, now , we go on to the most essential point on “ how to dive”. We are going to provide a description of the main equipment used during a dive. Phuket scuba diving, when is the best season? Good news, you are at the right spot where we would share all you need to know about diving in Phuket! There are two main seasons in Thailand namely the green season (May- October ) and the dry season ( November – April). As you may see in the graphs, the two seasons are distinguished by the amount of rainfall. 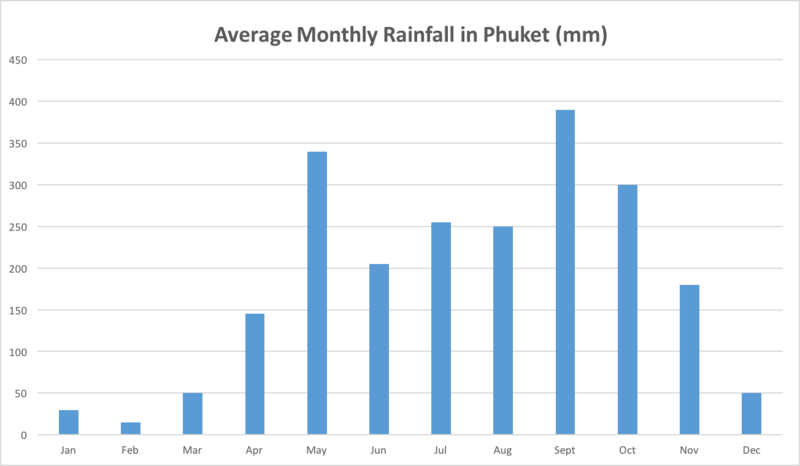 The “dry season”: Apart from the months of transition to the “green season” from April to November, there is not more than 50mm of rainfall between December and March. The “green season”: Rainfall do not fall below 200mm and can go up to 400mm in September. However, temperatures do not fluctuate that much during the two distinct seasons. Of course, this is reflected to the temperature of the seawater as well. The temperature variation of the water is only about 2°, with water temperatures being between 28 et 30° depending on the months. In other words, the main difference of the different seasons is determined by the humidity, that said with more rainfall during the “green season” as compared to the “dry season”. 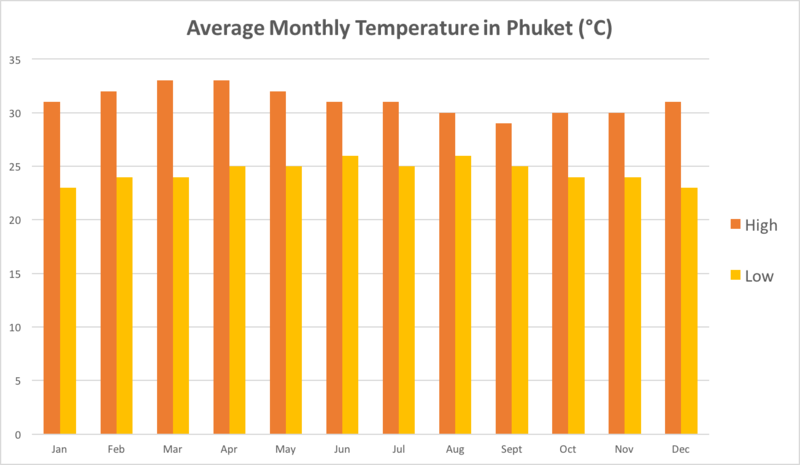 If you may like more detailed information about the weather in Phuket, check out this site where you would get complete information about the climate. 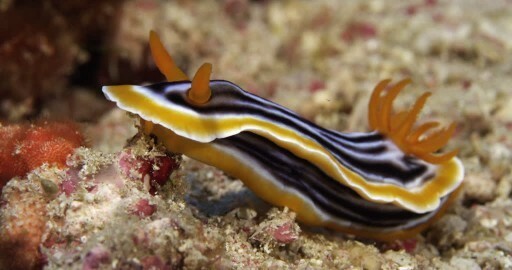 When is then the best season for Phuket scuba diving? From the “diving only” point of view, we would say during the dry season. The sea would be gentle and calm, thus allowing you to benefit from the better visibility. However, if you can, try to avoid the months of December and January where it is the high tourists season. This is the period where hotel prices are high. Famous diving spots would usually be crowded. That said, if diving is not the only activity that you would like to engage in, you could probably think about the “green season”. There are lesser tourists to begin with, however the sea would be less calm with higher rainfall but Phuket scuba diving is still possible. Within the 50km radius of Phuket, there are a multitude of different beaches that you would be able to explore. The island is divided in two, the west and the east. In the east, it is mostly made of mangrove which is less known to diving tourists. Towards the west side, the sand is very fine and the beaches usually please many. The west is the side that is in direct contact with the Andaman Sea where the water is blue and transparent offering an idea of paradise. Due to the increase in number of tourists in certain areas, some beaches have deteoriated due to the negligence. Nai Yang- Part of the Sirinat national Park. 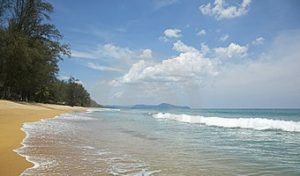 To preserve the beaches of the North of Phuket, Mai Khao and Nai Yang offers 11km of white sand beaches with no interruption. 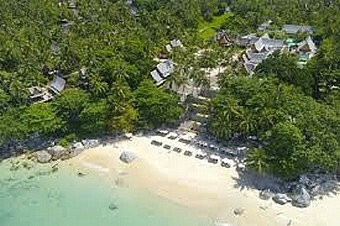 Hotels can be found in the isolated areas in the 11km along the white sand beaches. This beach is renowned for the fact that thousands of tortoises would come to the beach during the reproduction period on the beach between November and February. Caught between two little hills, Nai Thon is a little beach which is still protected from construction in front of the beach. This little beach certainly allows tourists to stay away from massive crowd to enjoy the tranquility but also allows visits of rocky areas accompanied by a professional of course. The beach of Bang Tao has many hotels concentrated at one area, so you would still be able to find peace and tranquility within the 6km distance of beach area. Bang Tao is a beach usually reserved for families that are looking for a getaway. The night life is not very developed just as yet. This beach is situated in a little bay and it is only accessible to the guests of the hotel. The budget would be around 600 euros per night, but with this, you would be entitled to a private beach just for yourself. 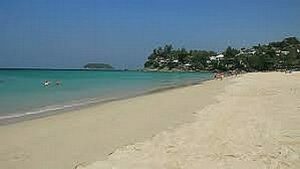 The beach of Surin is still an area which is protected from mass tourism given the fact that there are not many hotels around. The fact that there are not many hotels around the beach keeps it relatively calm compared to the areas which have many hotels. Getting there may be complicated as it is a very rocky area, access by cars is impossible and with the scooter, it could be very dangerous. Patience and effort is required to access this beach, however, it would all be paid off when you are able to enjoy the minimal crowd on this beach. 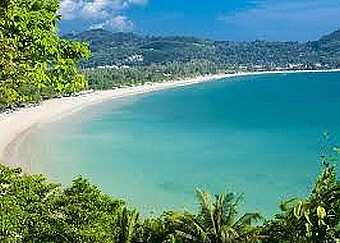 Kamala beach is surrounded by an old fishing village where there are traditional rowboats. 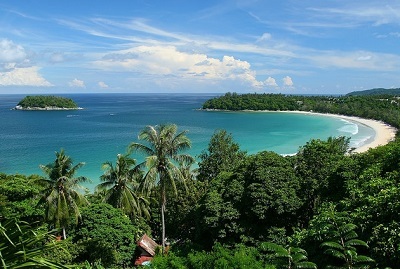 The beach is lined up with Kasurina pines and it offers an incredible panoramic view of the Andaman sea. This is the beach in the west area which is very well known amongst tourists who would like to have fun, meaning party-goers. Patong is known like Pattaya till date for the massages and lively night markets . When night falls, this area transform into heaven for party goers with the many bars and clubs to choose from. If you are looking for a calm and nice beach to relax, we are afraid that Patong is far from this especially for the fact that there are many hotels and also with the many different kinds of water-sports and activities proposed, sadly, the quality of the beach and water has deteriorated. Karon is the third longest beach in the west of Phuket, offering tourists a nice area to relax and also an array of water activities. There are also different diving and snorkeling sites in this area. We would encourage you to get a guide if possible for diving to prevent any undesirable consequences. At Karon beach, there is a dive site where you would be able to do a half day dive named Karon Rock which is a good alternative to the reef at Kata beach. Kata beach has palm trees lined up from one end to the other. The stretch of white sun coupled with the placid waters during the high season would allow you to admire the sunset with a backdrop of a deserted island away from the beach. 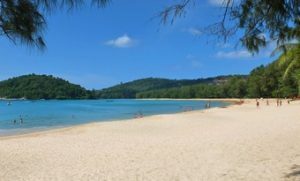 Kata beach also offers a diversity of aquatic activities, ranging from board activities like Stand-up paddle and surfing to night diving during the “dry season”. 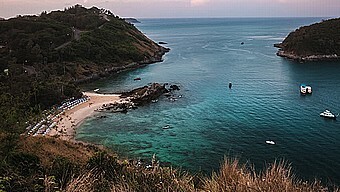 Kata beach has the largest coral reef in Phuket. It is ideally the place to do your first dive, the choices of half-day dives and night dives. 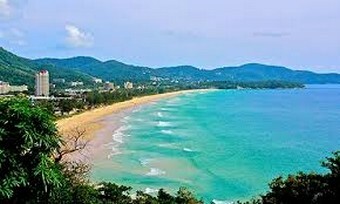 Kata beach offers other types of water activities such as surfing during the “green season”. 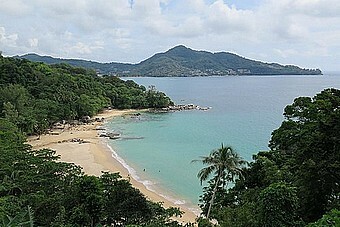 Thus, Kata beach stays a “must-do” for Phuket scuba diving. During the monsoon season, this beach revealed itself to be a good surf spots for surfers and during the dry season, the calm waters allow divers to enjoy the flora and fauna in this area. It is very rocky at the southern part of the beach where it would be the third possible nice dive site after Karon and Kata for the local dives in Phuket. Nui Beach is a little beach which is situated between two famous view points , Windmill and the Promthep cape. Situated in a little cove , where very few hotels line the beach, it makes the area quiet and peaceful. The uniqueness of this small beach attracts quite a number of tourists which eventually results in it being overcrowded . The access to this beach is difficult as there is a steep rocky track. This dive site can be an option for Phuket scuba diving but remains restricted due to the access which can be challenging. Nai Harn is a beach with only two hotels and a few local restaurants around the corner. During high season, the length of the beach permits big numbers of tourists to lounge comfortably without visitors feeling too cramped. 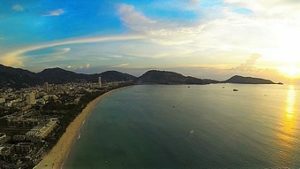 To sum up, Nai Harn is a tranquil resort with several activities available: sports field, walk along the long lake, lounging on the beach chair and of course stunning sunset views. As from a diving point of view, this site is not a must when you come to Phuket. 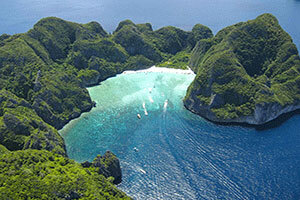 Accessible from Phuket, you would be able to get to the beautiful islands of Koh Phi Phi. At these islands, amazing dives await you with the abundance of coral and an incredible diversity underwater marine life. The main island, Koh Phi Phi Don, looks like two islands linked by a stretch of white sand beach. You would be able to find all that you need to have an enjoyable and unforgettable weekend. What tops it off is the crystal clear water around this island so you can enjoy the amazing visibility underwater. 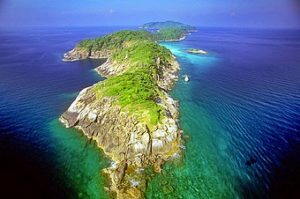 Bida Nok and Bida Noi is further off the islands but will be the most interesting spots for Phuket scuba diving. It is made up of large limestone rocks emerged in the sea and this is offered to divers of all the different levels of diving. Keep your eyes wide open, you would be able to see a whale shark or a manta ray if you are lucky enough! 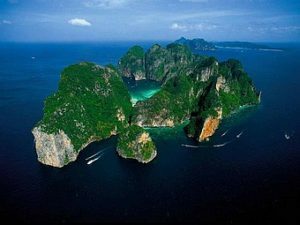 Koh Phi Phi is a very famous place for Phuket scuba diving. There are departures for diving to the dive sites available daily. The National Marine Park of the Similan Islands is rated one of the best destinations in Asia for diving with nearly 30 different dive sites. The national park exists since 1982 and the 9 islands have managed to conserve their original charm since then. White sand beaches surround these islands and you would expect to see corals of all sorts, tropical fish and of course in the clear water all year round. The archipelago of Similan radiates exceptional beauty in its own way. The relief is made up of big granite rocks. When you are there, you would see a giant formation named “Donald Duck” overlooking a white sand beach. In certain cavities underwater, divers would be able to reach up to 35m of depth. This would be exceptional for more experienced divers. If there is a dive spot not to be missed, it would be the Richelieu Rock. Situated in the north of the marine park, near the frontier of Myanmar, this are one of the best dive spots in the world. The chances of going home disappointed are close to zero! The waters around the Richelieu rock is very rich in Plankton due to the currents. For all the nature lovers, be prepared to be very spoiled! Besides the flora and fauna which would leave you speechless and the legendary Black Merlin that you may encounter, there are a wide array of different species that await you. Just to name you a few to entice your appetite, Sand sharks, barracuda, tuna, garoupa or large stingrays that are present in these waters. Be prepared to have a close up adventure with the turtles as they might just come close to you! Do not forget your waterproof camera if you have one. Take lots of pictures of these special moments but also do not forget to respect the marine life and the surroundings as well! Similan Islands are accessible via Phuket. There are many different range of cruises that are available depending on your budget. If you would also like a nice experience without busting your budget, there are three categories of cruises that cater to this. It would be one of the best ways to enjoy your Phuket scuba diving trips where you would not lose time, more comfort and more security. The islands of Similan are accessible only from October to May. This is to ensure that there is not an influx of tourists all year round and to ensure conservation of these magnificent islands in the south of Thailand. Racha Yai is an island located 30km away from Phuket. This dive site is particularly appreciated for divers for its calm environment. The currents are very weak, the visibility is excellent and it is also possible to visit the wrecks! There are four wrecks on this island. 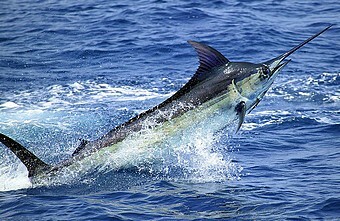 The commonly seen species in this area are the grouper, barracudas, tuna and blue marlin. Although this site is reputable for the deep waters for certified divers, there are also certain areas which could be a delightful for first-time divers as well ! 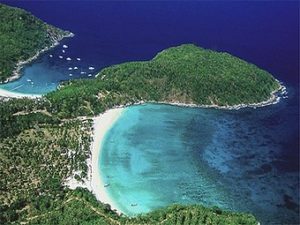 Two hours from Phuket and in the South of Racha Yai, the island Racha Noi is also known for its fauna with some similarities to the islands of Similan. 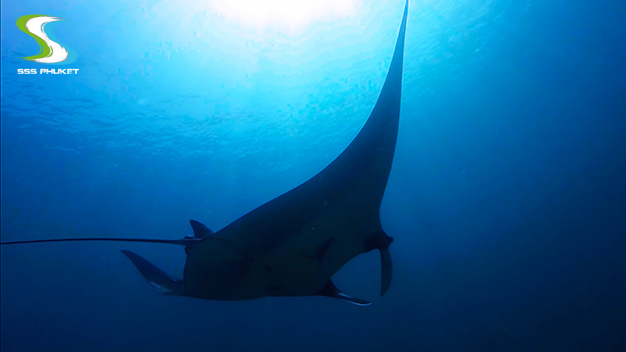 In high season, you may be able to see the Manta rays. Manta, eagle rays and frog fish are some of the species that you would be able to see in the clear waters. 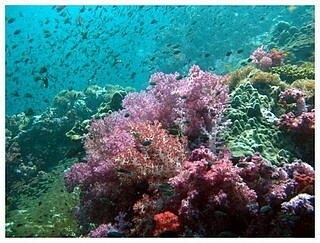 This island proposes high density of corals both hard and soft for the pleasure of the divers. This island is suitable for all levels of divers , however to note that the southern part is adapted more the divers with advanced levels. With the dive sites like Banana Bay and the South Tip, Racha Noi is an alternative to the Similan islands. With the manta rays and the amazing visibility underwater, this island is one of the most interesting areas for Phuket scuba diving. Situated in the south-west of Thailand, the archipelago of Koh Lanta is made up of 50 islands. You would observe that the landscape is well preserved as a national park since 1990 with the compliments of the forest and the mangroves. The main characteristic of this island lies in its tranquillity. Dives may not be as fantastic as the other islands but you would be able to find yourself in a moment of calm away from the hustle and bustle of the cities of Thailand. 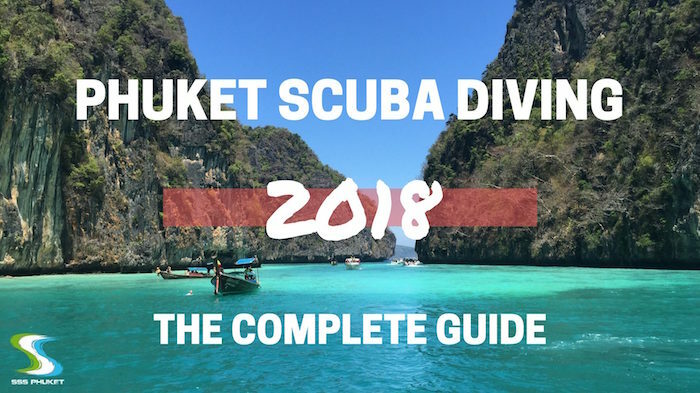 We could still identify two spots for the die hard fans of diving in this area which are Hin Daeng and Hin Muang which are accessible from Phuket . The first is known for the vertical drop whereas for the second, it is known for its gorgeous purple coral. Koh Yao Noi and Koh Yao Yai are two islands which are of the same distance from Krabi and Phuket. Much as there are some development plans going on especially in Koh Yao Noi, the two islands remains authentic and peaceful. 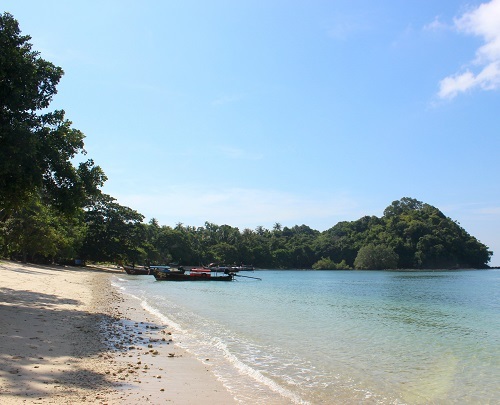 Koh Yao Yai is the less frequented area of the two islands, and the raw beauty remains. Life is very traditional in this area with its population engaging in fishing and rubber plantations. A “must-do” : the extraordinary stretch of sand in La Ma which links up Koh Yao Yai and Koh Yao Noi. You would also be seduced by the omnipresence of the sea and the palm trees around you. However like Koh Yao Noi, diving is compromised by the poor visibility due to the mangroves surrounding the area. 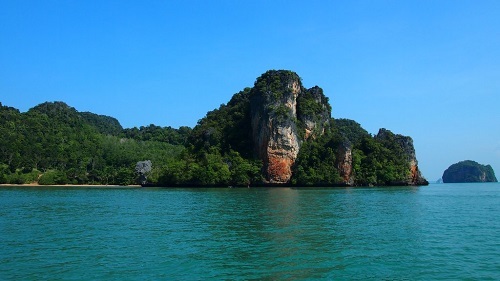 Therefore Koh Yao Yai is not first choice when it comes to Phuket scuba diving. The population of Koh Yao Noi is mostly made up of muslims and they are very welcoming. The population is made up of fishermen and this is one of their main asset activity. Coming back, this paradise island, unlike many others remain relatively untouched by mass tourism conserving its beauty and natural form. You would be mostly attracted by the authenticity of this island, however noting that the dive conditions where visibility of the waters may be limited. Like Koh Yao Yai, Koh Yao Noi is not considered a top area for Phuket scuba diving. Besides the awesome beaches, Phuket also has much diversity in terms of flora and fauna. 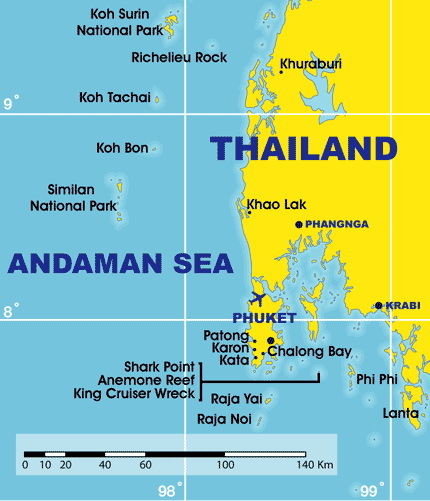 The waters of the Andaman Sea has favourable conditions for the breeding of many underwater species. The types of marine life that can be found ranges from seahorse to whale sharks, and in fact, both natural and artificial reefs provide shelter and continue to allow life to prosper underwater. 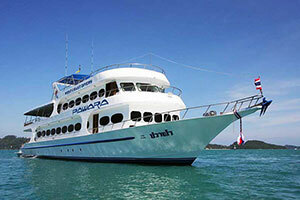 Some websites frequented by the lovers of diving have stated that some of the world’s best dive sites are in Phuket. 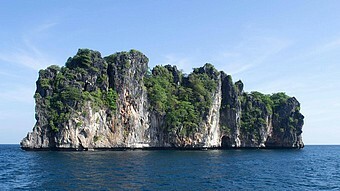 These sites are usually present around the remote islands or on the reef which are surrounding the beaches of Phuket. King Cruiser is a wreck of a ferry of 85m which is used to ferry passengers from Phuket to the islands of Koh Phi Phi. The incident occurred in 1997 after a collision with underwater rocks. 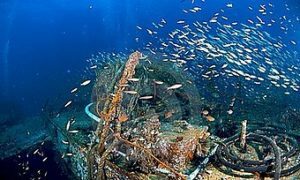 This wreck situated off the island of Koh Phi Phi , around 10km off the coast has become a absolute must for Phuket scuba diving. As for the fauna, it is possible to find many different species of fish which are around the islands of Phuket namely the lion fish, tuna, barracudas and trevallies. More singular species which are in this area are the turtles and the nudibranches. Visits of rare species such as the leopard sharks, bamboo sharks and the whale sharks do occur so be prepared to enjoy these sightings. Soft corals have invaded the wreck in its entirety, which attracts the different species of fish mentioned above. The King Cruiser wreck is by far the most beautiful artificial structure for Phuket scuba diving. 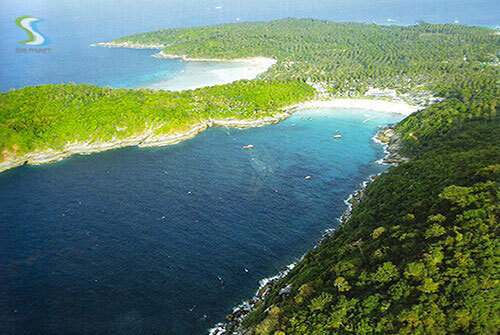 Discovered for the first time in 1970, the Hin Mu Sang island is located 25km away from Phuket. Hin Mu Sang is well known for the dive site Shark Point as sharks can be found in the reefs. Due to the depth and also the potential dangers of the species present in this area, this dive site is usually reserved for certified divers. The progression of the dive is along and down a rocky slope going to the depth of 22 meters. Common species of fish that can be seen are the scorpion fish, butterfly fish, globe fish and also the angelfish. Fauna that can be found here is extremely varied. 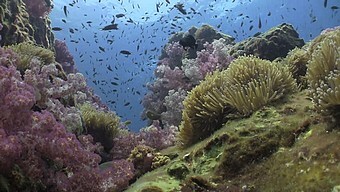 Corals of different colours can be seen along the slope. The pinnacles at Shark Point is a must if you are planning to dive in Phuket. Koh Doc Mai means island of flowers. This island is a limestone island which rises vertically out of the water and it goes as deep as 30 meters underwater. The dive wall in Koh Doc Mai is located at the west of the island. Dives in this area are usually reserved for certified divers as there are pretty strong currents present in this island. There are common schools of fish that can be found. The colourful hard corals down a slope of 30 meters makes this dive worthwhile, allowing you to be spoiled by all the colours that you would be able to see.. There are two large cavities that you would be able to explore with torches and the visibility is usually good. When there is good visibility,Koh Dok Mai is clearly one of the most stunning dive sites in Phuket. 8h : A taxi would pick you up in front of your hotel to take you to Chalong Pier. Racha Noi is an inhabited island situated two hours from the South of Phuket. The majority of the dive sites are accessible to the different levels of divers. It is also note that towards the south of the island, currents are stronger and thus would be reserved for certified divers. The whale sharks do come by to visit regularly at this dive site. 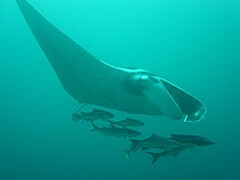 This dive site is also home to the manta ray and the eagle ray. They stay close to the deeper waters and it is easy to observe and approach them. There are both hard and soft corals of vibrant colours that are homes to different species of fish and marine life. Racha Noi is another option to the Similan Islands with beautiful sites such as Banana Bay and South Tip. With Manta rays coupled with the good underwater visibility, this island is one that remains very attractive for Phuket scuba diving. Situated towards the north of Racha Noi, Racha Yai is the bigger one of the 2 islands. Made up of a few bays and some wrecks, Racha Yai is the haven where varied coral and marine life can be found. With the presence of the isolated bays, Racha Yai remains a dive site that is accessible to divers of all levels. Corals would cover the bays and wrecks which are present at this site, with a dominance of the deer horn present. This dive site is home to species of fish such as the rock fish and the scorpion fish. Other species of marine life such as the barracudas, tuna and the blue marlins can also be spotted in these bays. The shallow bay coupled with the great visibility makes it very nice for divers of the different levels. Racha Yai is probably the next most popular island for diving after Koh Phi Phi. Koh Phi Phi is situated in the south east of Phuket and it consists of many small islands, the most visited ones are Koh Phi Phi Don in the north and Koh Phi Phi Le in the South. The deserted beaches are made known from the film « The beach » in 1998 starring Leonardo Di Caprio. The principal attraction of this island are the turtles that are roaming close by these areas. 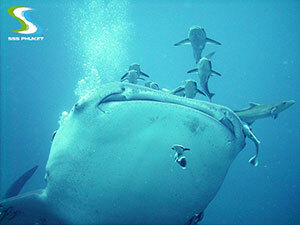 The leopard sharks and the black tips can be spotted as they live not far off the islands of Koh Phi Phi. 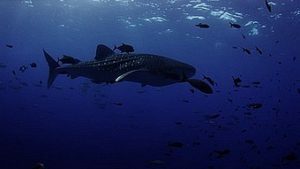 Not to forget the whale sharks who sometimes lose their way in the waters of Koh Phi Phi island. The crystal clear water allows divers to admire the corals without difficulty. Variations in many different colours, the corals are home to species of fish such as clownfish, anemones, starfish, shell fish like crabs, lobsters and prawns. Situated not far from Shark Point, the Anemone Reef like its name is known for the big anemones gorgonians or the spongey ones. These anemones house species of fish like the clown fish and also some other reef species. Within the proximity of Shark point, divers are not far off to be able to catch a glimpse of the leopard sharks who bask on the white sand. What’s more, be ready to feast your eyes on the moray eels, scorpion fish, rays and turtles. You would be able to dive at the Anemone Reef by choosing the option of the 3-dives Day trip to Koh Phi Phi or King Cruiser. This site can be chosen as the third dive. It would be advisable if you could contact the dive centre in Phuket to be sure that you would be able to visit this little island of treasures to complete your dives. The islands of Similan is a group of 9 protected islands by the National Park of Similan. Created in 1982, the Similan islands became a national park to conserve the local flora and fauna in this area. The national park is open from October to May and remains closed for the rest of the year. This includes Koh Bon, Koh Tachai and Richelieu Rock which are the 3 islands which are found in the northern part of the island of Similan and they are deserted. 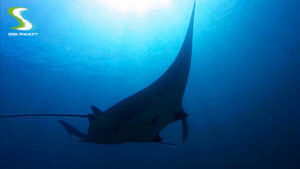 Situated 25km to the north of the ninth island of Similan, Koh Bon is a dive site with is renowned for the Manta Ray. You would be able to admire a coral reef with hard and soft corals in the west of the island and also the species of marine life like the fusillers, barracudas and trevallies. 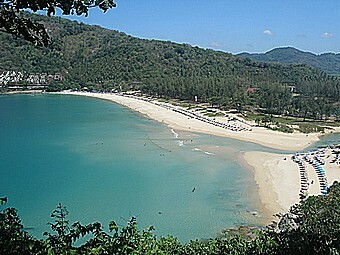 Situated further up north of Koh Bon, Koh Tachai is known for the sharks. Be ready to spot the small reef sharks, black tips to the leopard shark which reside in the reefs of the island. To top it off, the manta ray together with the whale shark may come by to the waters near to the island ! Well, we may not be always lucky all the time, but you would be able to enjoy the beautiful coral barriers around the island and be wowed by the vibrant colors. Discovered by the legend Commandant Cousteau, Richelieu Rock is an island which is made up of rocks in the east of Koh Tachai. The atypique horseshoe shape of the island has permitted many different species of fish like Kingfish, barracudas and also the lion fish to be found. There are almost 300 different types of corals which are present in the reef of the island. Another highlight of the Richelieu Rock are the rare species that can be found like the whale sharks and guitar can also be found in this site. 6h : A taxi driver would pick you in front of your hotel. 11h : First Dive in Simlan’s islands’ coral reef. 14h30 : You can relax and enjoy the sun or snorkel if you would like, drinks and food are available on the boat. For cruise option from 2 days to 1 week at Similan’s islands, you could find every informations about schedules and availabilities here. You would be able to find a recap of all the essential equipment that you would need to ensure a safe and enjoyable dive. 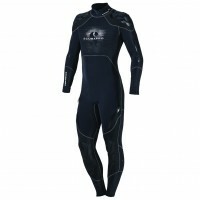 The wetsuit protects the diver from the cold. 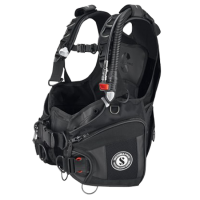 There are different models available and specific ones catered for the different types of dives. 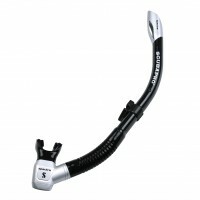 The snorkel allows the diver to stay and breathe on the surface while still having the face underwater. 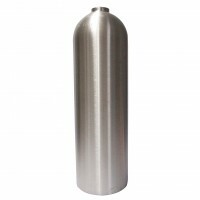 The tank consists of mixed gases which is necessary for the breathing of the diver underwater. The fins allows the diver to move around more easily and quickly in water. 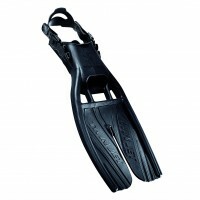 Divers gain speed, stability and are more at ease underwater using the fins. The mask allows divers to see clearly underwater and also to protect their eyes and to not allow water to get into the nose of the diver. This is not a real certification for diving but it is more to give you a first taste of what diving feels like. The first breath you take underwater would be a very memorable one. You may not be like as natural as a fish but you would soon realise that it is not difficult to dive underwater like a fish. After your first dive, you would be able to know whether if you actually like diving. If yes, which is the most probable case, you would be able to move on to learn more about the basics of diving underwater with the first official certification of PADI. The necessary equipment are as follows : A mask, the tube, the fins, a buoyancy compensator, a regulator and also a full tank of air. The minimum age for the first dive is 10 years old. You would be required to fill up a medical questionnaire to be sure that you are medically fit for diving! The first level of diving is accessible to all and would allow you to observe underwater life for all the dives. The difference between the first fun dive, this certification would allow you to go down to 18m rather than 12m for the fun dive. The training for the PADI Open Water together with the practical training enables you to have at least 5 dives in the pool and 4 at the local dive sites that you would not be able to forget. You would be equipped with the essential basics of diving that can ensure safe and fun dives. You would learn the beauty of diving, how to take care of your diving equipment, how to plan your dives and to execute your dives. 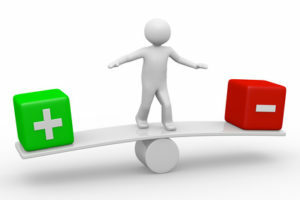 Most importantly, what to do to prevent or manage challenging situations. You would learn how to use the basic equipment of diving and learn better how to equip yourself better for the different type of dives. There exist several ways to study the Open Water Diver Course. You would have the option of e-learning or with a manual guide and DVD, you would be able to learn the basic techniques, the safety procedures and also the terminologies for diving. 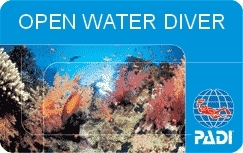 The minimum age for PADI Open Water Diver or Junior Open Water Diver PADI course is 10 years old. Level 2 of the dives is still manageable and would allow divers to observe life underwater to the depth of 30 meters in depth. Embark on a new adventure where you would be able to personalise your course and choose what you would prefer from the subtopics offered. To be able to qualify for this level, you would require the certification of PADI Open Water and have a minimum age of 15 years old ( 12 years for Junior Advanced Open Water Diver). The level 3 Rescue dive certification are for advanced divers and the difficulty level is at an intermediate level. The dives would be up to 18m in depth. 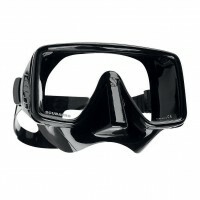 This would allow divers to anticipate and manage different problems that may arise while diving. This certification would enhance your confidence and be more sure of yourself as a diver. All the basic equipment of diving is needed and also a dive computer. You would be able to find all you need at the SSS Phuket 5 star Dive Center. The Rescue Diver PADI would have all the materials that you would need for this course. This includes also the pocket mask. 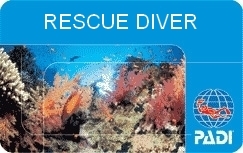 The minimum age for the PADI Rescue Diver course is 12 years old. 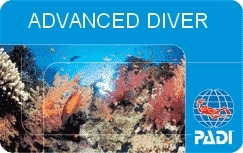 Requirement of the certification of an Adventure PADI Diver. Have completed a first aid course and CPR for less than two years. 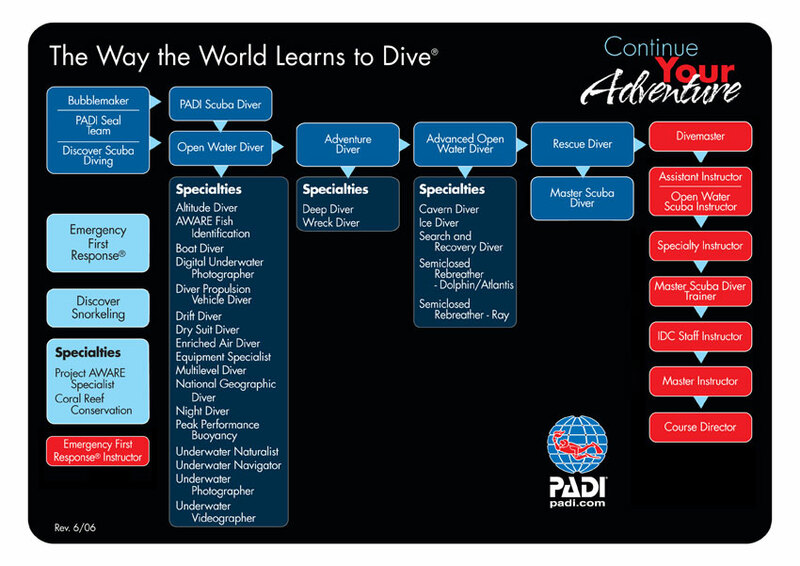 The level Divemaster is more challenging as compared to the previously mentioned certifications. You would be able to dive to a depth of 40 meters and you would be able to enjoy and observe life underwater in all your dives. This level is the first level the in PADI Professional course and would allow you to work as a dive guide in Phuket. There are several aspects. There is a theory section in a classroom setting and also a practical session where there would be endurance tests. The aim is to leverage on your leadership capacity. 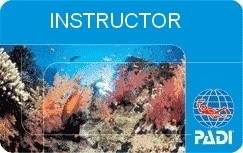 After this level of certification, you would have the ability to guide certified divers and to accompany fun divers. 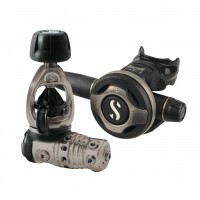 All the equipment of diving would be needed together with some accessories ( slate, dive knife..). However, unlike the other levels, it is advised to have your own diving equipment. This would enable you to familiarise yourself with your own equipment. Logically, the difficulty of the last level is higher than the other levels. This level addresses to divemasters who would like to dive to the depth of 40 meters and also be able to teach diving as a profession. This level requires 4 months of training and a professional and operational dive teacher. Being a PADI Open Water Scuba Instructor, you would be able to teach and spread your love of Phuket scuba diving and all around the world. You would be able to enter the privileged circle of dive instructors who would be able to share and exchange ideas on the different cultures and their dive experiences. This level is very rigorous during the training. There would be revision of the knowledge where the preparations of the theoretical subjects would be tested so you would be able to be familiarise yourself and be independent in this aspect. You would learn during this course to learn and apply the PADI System for diver education by conducting minimum five presentations, both in theory and practical. You would also participate in 14 different presentations of the programme and you would need to go through 24 diving exercises. Besides these, a swimming test is obligatory and you have to demonstrate your knowledge and competences for diving in 5 parts. You would be able to teach the complete series of the different programmes offered by PADI ranging from Discover Scuba Diving to Dive Master and eventually to PADI Rescue Diver. You would also go further in your training and continue to take up specialty courses in diving to constantly improve and up your standards. Basic Equipment of diving is definitely required and two devices for signaling is needed, preferably one audio and one visual. The IDC PADI Kit provides all the essential learning material needed for this course. To sum it up, Phuket has presented itself to be one of the world’s best place for scuba diving. With the numerous islands and dive spots available coupled with easy accessibility from Phuket, you should not miss out on the variety and diverse flora and fauna that you would be able to find here. You could choose from the 2 seasons as for each season they have their own advantages. We hope that this guide has managed to fulfil its cause of providing you with all the essential information that you would need to dive in Phuket. If you have any feedback or questions, do not hesitate to contact us on the “ Chat with us ! ( English/ French) “ tab which can be found on the bottom of the page where we could answer your queries instantly! We are looking forward to seeing you in Phuket soon ! Cool guide and nice pics ! Looking forward to my first trip in Asia !